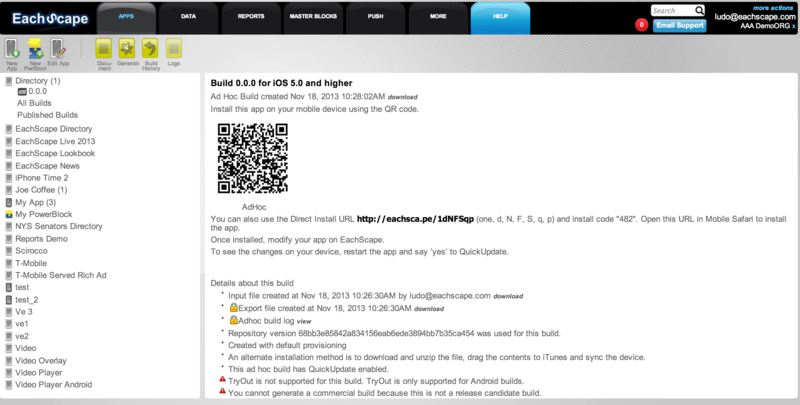 BUT NOT ANY CODE: True native source code for iOS and Android created with a true drag & drop interface. NO Template. Save Developers valuable time to build your own custom EachScape Blocks. 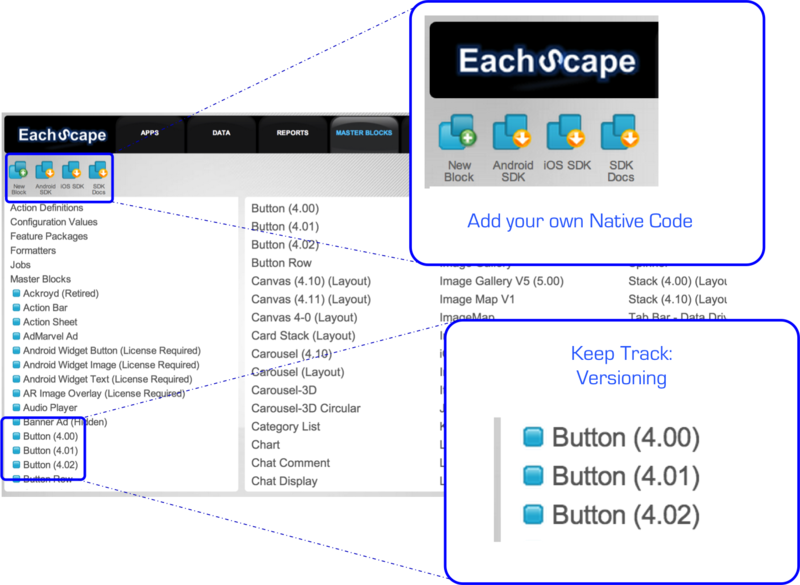 EachScape is the ONLY platform generating true native source code. EachScape is Open: Use engineers to create additional, highly custom features, while Web producers can now create true native apps using EachScape Drag & Drop Visual Editor. No Templates, no Limits truly custom. The most powerful Drag & Drop platform ever. Create native, beautiful, scalable apps and Mobile Web sites by using intuitive Drag & Drop UI, allowing you to position blocks wherever you want on the screen.. Position Block wherever you want on the screen. 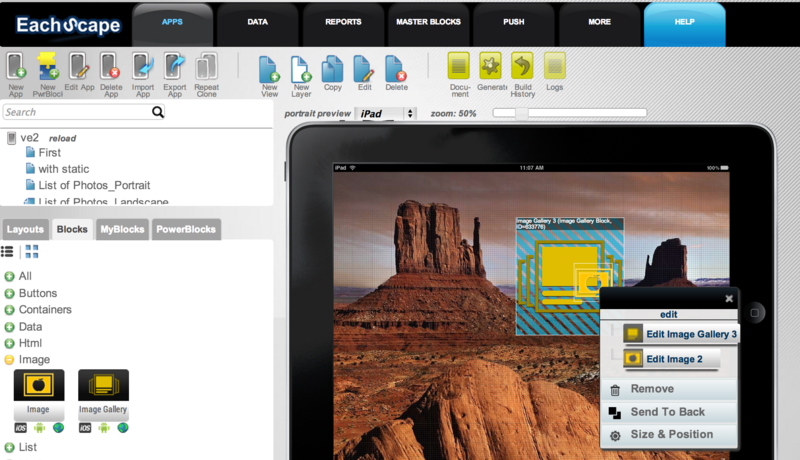 Work on multiple components, create layers, transitions, build pixel perfect, professional apps: Build like a Developer. Truly unique: Same environment for multiple native generation. iOS and Android for Apps. 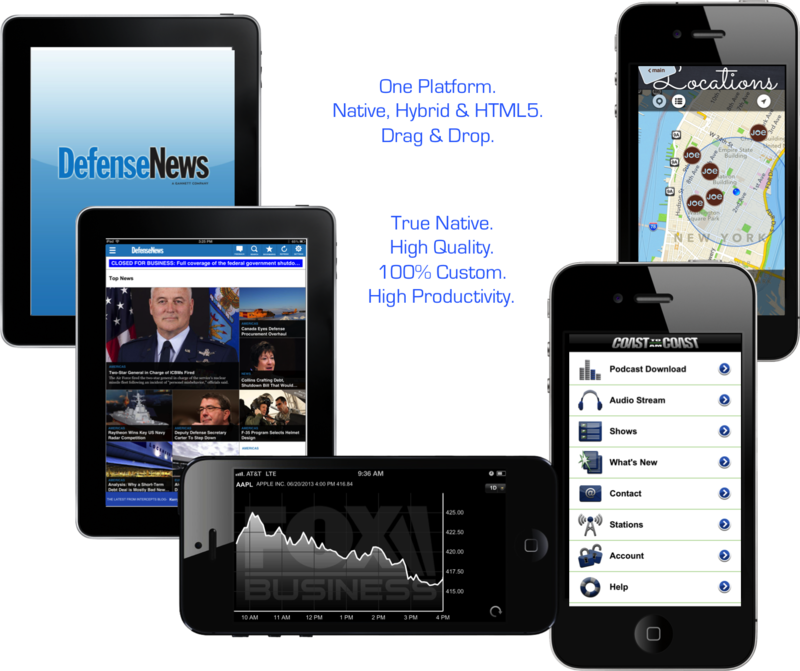 HTML5 for mobile web. Hybrid for flexibility. Build your mobile service, select your targets of choice. Done. True Native App ready to install. Enables your organisation EachScape Master Admin grants different permissions to different users. Create sub-organizations to truly map you org chart. Enable your staff to focus on their parts of the app management process. Add sub-organization – Workspace- in one click. Select permission granted to each users: From App Developer to Editorial Access only. 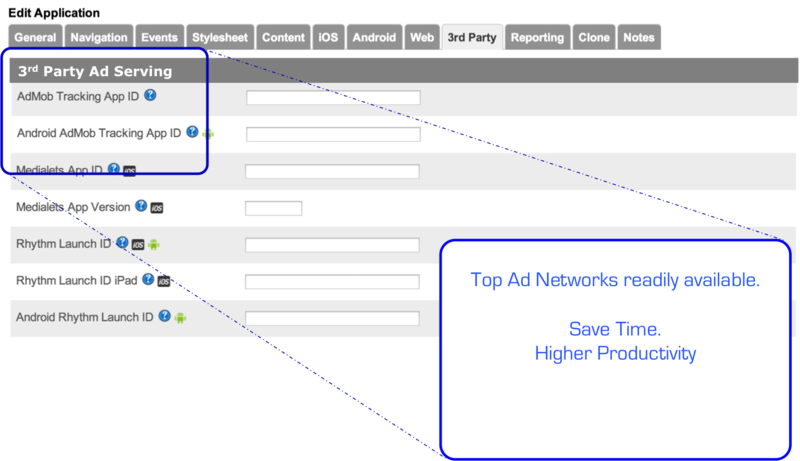 No more headache managing 3rd party Ad Networks integrations. EachScape has the most important Ad Networks and Ad Servers ready to go. In addition to EachScape’s own analytics which go into every app, integrate with your existing Omniture, Flurry or Google Analytics account. In addition to native SDK integration of Omniture, Google, Flurry it is easy to plug in other third party via Javascrips or SDK Integrations. 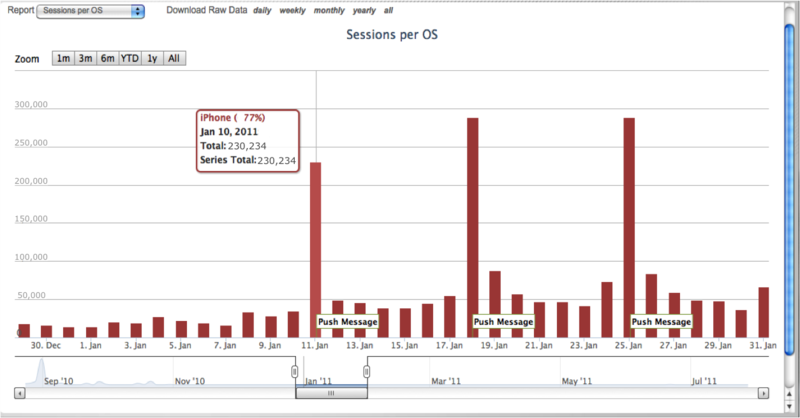 EachScape analytic suite: Analyzing impact of Push Notification against traffic. A highly flexible data management service to ingest multiple data feed formats – RSS, XML, JSON, including RESTful – to cover all your needs from data display to transactional services. EachScape Data Manager automatically ingest all sort of data feeds so you can connect to any existing CMS. 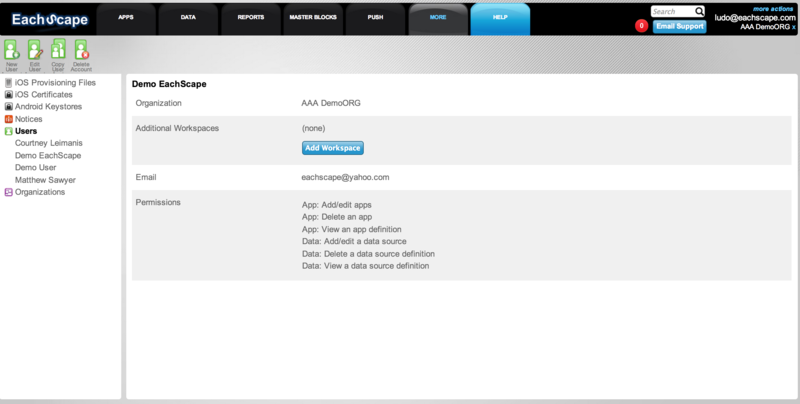 Copy and paste the datasource link and Data Manager automatically parse the feed. 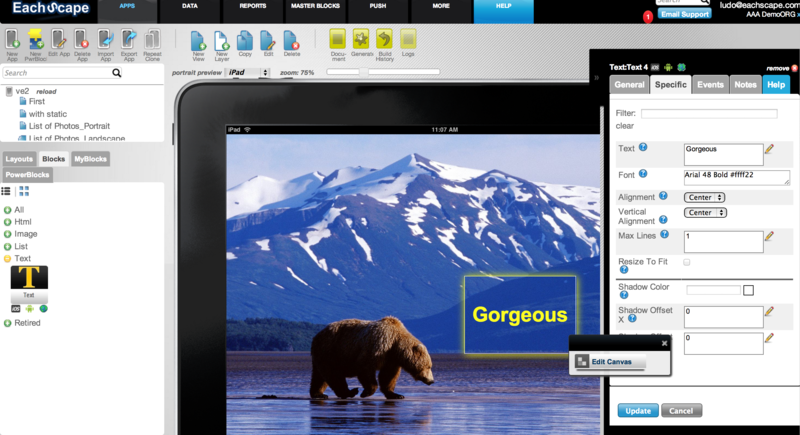 A powerful Cloud CMS to store the assets – Text, Images, Audio, Videos – used to power your mobile portfolios. 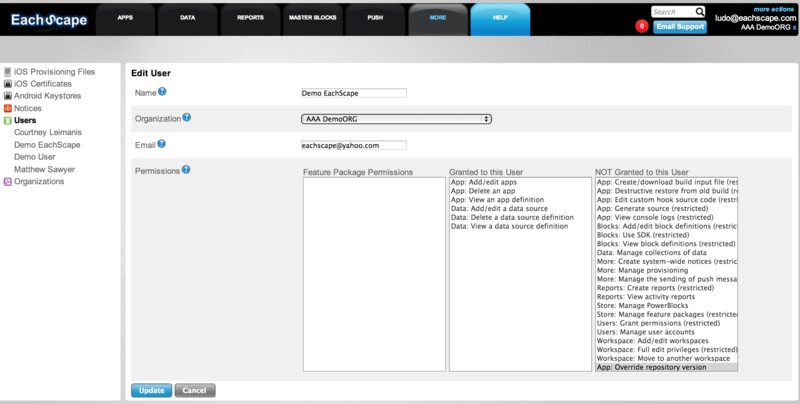 EachScape Cloud CMS features a sophisticated yet simple to use front end to easily create your own data sources. Enterprise ready Push Notifications for iOS and Android. EachScape Push Notification Manager allows for easy set up, Enterprise grade, Push Notifications. Schedule time of the notification, content and Push Notification Manager will do the rest. 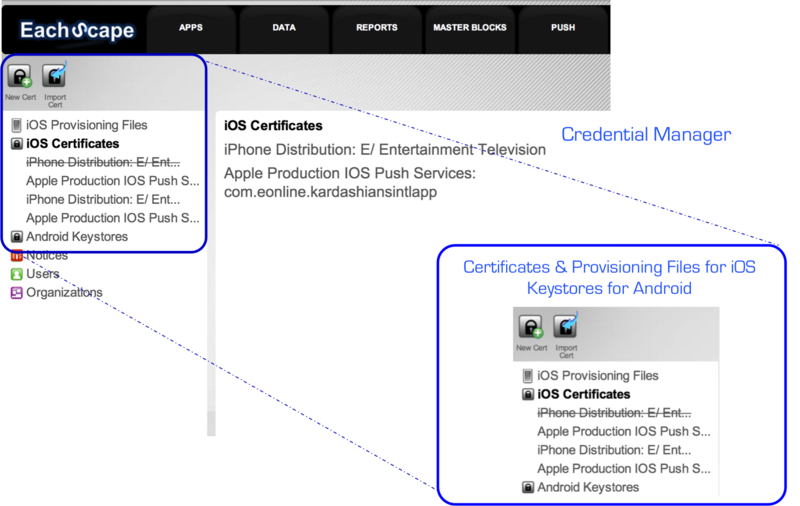 Manage your Certificates and Provisioning for direct submission. Directly submit to the store under your own name. Manage multiple certificates and provisioning files. 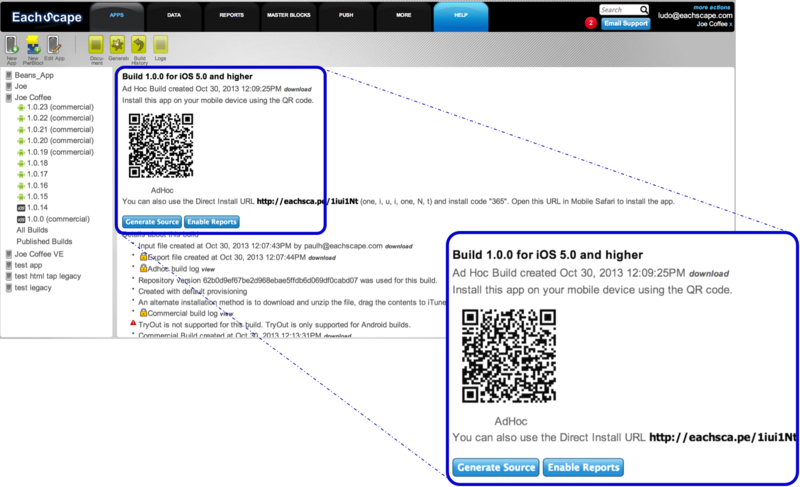 Easily distribute your apps for testing to the right teams. Manage your Native Code . Use Versioning to understand what code runs where. Easily locate and replace native code wherever the code was developed in house or added via a 3rd party SDK.